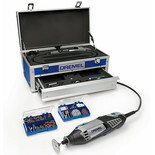 Versatile tool kit for drilling, milling, engraving, polishing, cleaning, cutting & grinding. 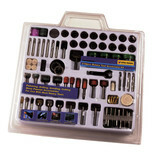 Ideal for DIY, hobby and model enthusiasts for intricate detailed work. 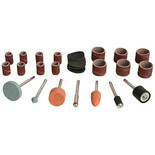 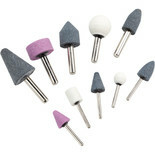 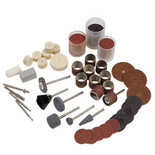 This stone kit consists of aluminium oxide stones with shapes including tree, cone, ball, cylinder and wheel. 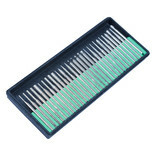 5 of each ¼" (6mm) and 1/8"(3mm) shanks for use with die grinders and other power tools. 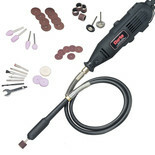 This product is ideal for hobbyists and model making and finishing off small parts. 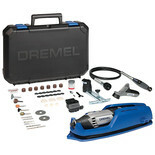 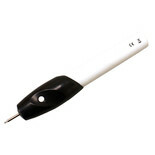 It has an array of wheels specifically for cutting various materials quickly and accurately. 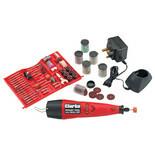 A comprehensive range of accessories for use with the Clarke CRT40 and other mini rotary tools with 3.2mm (1/8") collets. 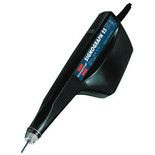 This product is ideal for hobbyists and model making and finishing off small parts. 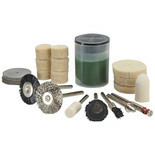 It has an array of handy parts used for sanding, grinding and polishing small parts to provide an excellent finish. 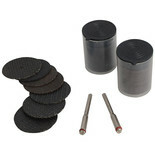 This handy set of 30 diamond burrs have a grit of 150, they would be ideal for use in arts and crafts or similar hobbies. 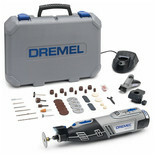 High end cordless multi-tool with a powerful motor and enhanced 10.8V 2.0 Ah Li-ion battery. 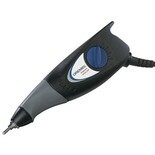 The 8220 also features an on-board LED to maximize visibility and therefore precision.